A good regulatory study on bees demands an interesting combination of skills and experience, particularly in the higher tiers. An impeccable scientific training for one, and a highly developed expertise in bee handling for another; few individuals possess both attributes. Some far-sighted organizations have both of these skill sets in-house, but most rely on an outsider to provide practical bee support. Sometimes the beekeeper is an invisible partner or a junior partner, but his or her input can make a substantial difference to the value of a study, particularly if there is a mutual understanding between the beekeeper and the scientist. 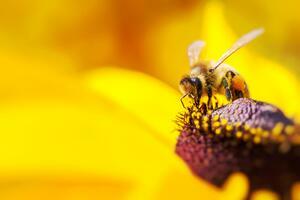 To take an example – a field study may require 60 or 100 colonies of honeybees. In order to get meaningful analyses, and the ability to observe small effects, variation between the colonies should be minimized. In principle it would be desirable for each colony in the study to contain the same number of adult female bees, and similarly the same number of open brood, and the same number of pupae. These aims can be described in a few words, but the ability to achieve them is rare, and comes from many years of bee husbandry, quite probably as many years as it takes the beekeeper’s counterpart to gain his or her PhD. Another factor is that commercial beekeepers have no need to carry out such operations, and do not (understandably) have the expertise or the grasp of the fine detail necessary. Another example may be a study on varroa. British beekeepers are experts in killing mites and not very good at rearing mites. In order to produce a number of colonies each with similar populations of varroa, a considerable time is required and many manipulations and observations before the study proper can start. In an ideal world, the colonies are under management for several months prior to the start of a study. Bringing bees in at the last minute is fraught with problems. The beekeeper needs time to introduce sister queens if necessary, observe the size of each colony, carry out disease checks, develop a plan for distributing brood, observe the rate of brood laying, select the colonies to be used, and predict the condition of each colony at the start of the study. In an even more ideal world, the colonies would be drawn not from a commercial honey-producing outfit, but from a stock of bees that is managed exclusively for research and regulatory studies. The above comments relate to honeybees. However, regulators are demanding more data on other bees, such as bumble bees and solitary bees (typically Bombus terrestris and Osmia bicornis). While these are less daunting than a hive of 30,000 aggrieved worker honeybees, there is no doubt that skill in handling increases with experience. It isn’t particularly easy to put your hand into a bumble bee nest to pick out a queen, and for those who have not yet had the pleasure, be warned that a bumble bee sting is a special kind of pain. As for solitary bees, they may be easy to handle, with predictable life stages, but there is skill required to monitor the well-being of cocoons over winter, including the reduction or elimination of parasites whose presence may invalidate a study. The ability to make the bees emerge in synchrony with the target crop in a short space of time is also a challenge. One last point - an expert honeybee person will take great care to avoid injuring bees when manipulating hives and frames, but inevitably and regrettably the odd bee gets killed. A clumsy and nervous bee handler may easily kill scores, maybe even hundreds of bees. If part of the assessment is to count dead bees, the experimental effect may be swamped by the mortality caused by the beekeeper. These points illustrate the value of having the role of specialist bee handler integrated into the research team. Their involvement makes the scientists’ work easier, and lays the foundations for good and meaningful data sets.